Bex here. It’s my turn to blog. You guys…. I am not a great blogger. Seriously. If you go to my blog site and read it for more than 2 minutes you will discover that I am not “wordy”, not “witty” and not too “original” with how I write. I don’t even know if you can call it that… writing. When I entered college I was an English major. HA! It’s comical in my head. So I have to tell you about big “Z” and his pretty “J”. I have never had the privilege of actually speaking to them in person, but I have been an Instagram follower of theirs for 2-3 years now. I stumbled on their work by looking up hashtags for “off camera flash”. I was hooked when I saw what they were producing. I loved them even more when I would see behind the scene shots of how they achieved their results. They were rockstars, clearly big names in the industry… had I been living under a rock? Why didn’t I know about them?? Jody had been candid about her desire to be a mother. Zach too…(to be) a father. They had struggled. I think the photo world all cried joyous tears on the day Jax was born. He is what makes their world turn. I am a business owner, a photography educator and a married mother of three. I loved the Grays even more when they became parents because the life they “do” is relatable. I am “doing” that life too… in my own way. 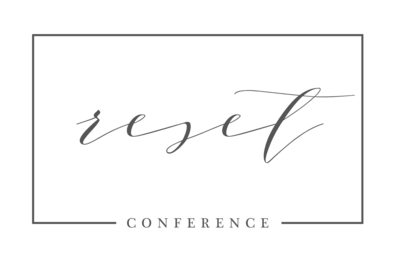 Last year I attended WPPI in Las Vegas with friends and Z and J were speakers. Their presentation was towards the end of the week and was scheduled bright and early. I remember the two joking about their time slot. The room was filled with tired eyed early birds. The people who came to hear them speak were “real fans”. During their fabulously helpful presentation (towards the end specifically) Z and J opened up about where their hearts lie pertaining to this industry. 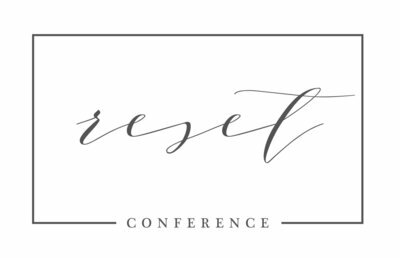 I don’t want to give away too much about what they said specifically but let’s just say that in that 5-10 spiel I was CONVINCED that they would be my top pick for featured speakers at the 2015 Reset Conference. When they accepted, I did a stupid happy dance that no one in the world should ever be forced to watch. ….. Sorry Kellie. Lately it has been our son, Jax. He gives us a reason to wake up and work hard to provide for him! We also stay inspired by good friends of like-mind. Zach is in a MasterMind Group that he started with 11 other business owners and that is a something that keeps him fired up each week. Anything that saves time! Slack, Trello and Text Expander are the top favorites right now. We use Bay Photo and having a KILLER lab is awesome because there is nothing like seeing actual printed versions of your images! Hmmm. It would have to be the 85mm L 1.2 lens! That baby is sweet! Practically, the 24-70 2.8. For looks, the 85L! Just simply a great reminder of their story. Hmm. The only two bad ones I can think of are selctive color and jumping bridal part shots. We always avoided those (but I am sure some digging through our blog could find some!). Behind the scenes of carnival workers. They scare me! Jody: Welcoming, smart, genuine, sensitive, super hot (Zach is writing this). Zach: Driven, big thinker, single-minded, passionate, spikey hair. Jody: Flash Dancer. Zach: Amazing singer! Quiet for both of us. More time and less stress! Peeing in a light socket for Zach. Jody has never been embarrassed. Social Media. Not as important as we think! I think we are doing it! Well, once we finally travel to fiji then we will be set! Watching Gilmore Girls on the couch with some ice-cream. Loads of money, world peace, no more zits for anyone ever!